Haunted Past: Realm of Ghosts Collector's Edition is rated 4.2 out of 5 by 101. Rated 5 out of 5 by TheFlashback from Yet another hit in superior quality This game is just a success. There is nothing in it that I could have complained about. Recommend to everybody!! Rated 5 out of 5 by Cyndi_Lou_Who from A great surprise I'm very happy to say this game was a pleasant surprise for me. I wasn't expecting much to be honest, but yet came away amazed at the clever story line and game play. PROS -Amazing graphics, held up on my large monitor. -Amazing and interesting story line, you will not be disappointed. -HOG scenes were top notch, you really had to take your time to find the items. -Options for game settings, this is the first game that actually I've ever seen that allowed you to pick your exact settings. Hint, difficulty of HOG scenes and highlighted areas. -Hours of game play, with the bonus chapter that leaves you knowing their is a sequel to come. I had about a total of 6 hours from start to finish, all options at difficult. -Clever interaction to let you know that you've cleared an area. CONS Puzzles.... what can I say I like a good puzzle tossed in as well. You will not find any of challenge in this game. Seriously that's my only issue with this game. Five plus stars for me. Dont hesitate, just buy it and you will not regret it. Rated 5 out of 5 by Juju38 from Brilliant!! Loved this game, something different than just a normal hidden object/adventure game...it was a little bit easy even in advanced mode but brilliant all the same. Well worth the CE. Rated 5 out of 5 by voodoogueen from Sign Me Up For The Next Chapter! I found this game to be rather easy, but it has so many unique features and I had such fun playing, I gave it five stars! 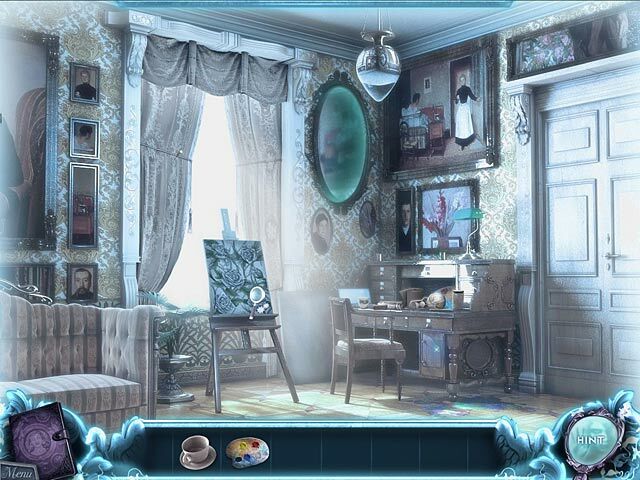 The hidden object scenes and most of the realm are ghostly and subdued, however the artwork is lovely and I had no trouble identifying objects. There are a lot of rooms to explore and a lot to do within each one, but it is made very clear once a task or an area is complete. Scenes exist in the present but allow you to travel back into the past and interact with objects you will need in the future when you travel back to the present. Confused? Well, you won't be when you start playing this fabulous game! The Bonus Chapter of the Collector's Edition is pleasant but not relevant to the main story. All it really does is set the scene for the sequel. Can't wait! Rated 5 out of 5 by aowyn from I Loved This Game! I have given many reviews, and just when I was beginning to feel that all the games were alike, i.e. Ghosts, demons, save your Dad.... this is the first one I truely found to be unique! You travel from the present to the Ghost Realm through mirrors, when you find useful items you can't take them with you so you have to hide them, return to the present and find them! I loved the concept. I really enjoyed the story, which is always an important part of a game for me. Graphics were good, sound was good. It all came together very well. Puzzles weren't too hard, very clear picture, I liked that! I'm hoping they will make a Haunted Past part two! Great job Gogii! Rated 5 out of 5 by lindiana from LOVE this HOG! As usual I played on Casual level and I thoroughly enjoyed the game. The quick filling Hint button and the Area Cleared notices were a great help. I never had to use the included Strategy Guide at all. It took me a few hours to complete plus the bonus level included with the CE took me about another hour so I thought it was worth the money. I liked concept. It was different than most HOGs as it did involve thought and planning. I thought the CE was worth the price for the bonus level alone. It added a nice dimension to the game. Great game! Almost good enough to make my favorite HOG game but not quite. Looking forward to the sequel. 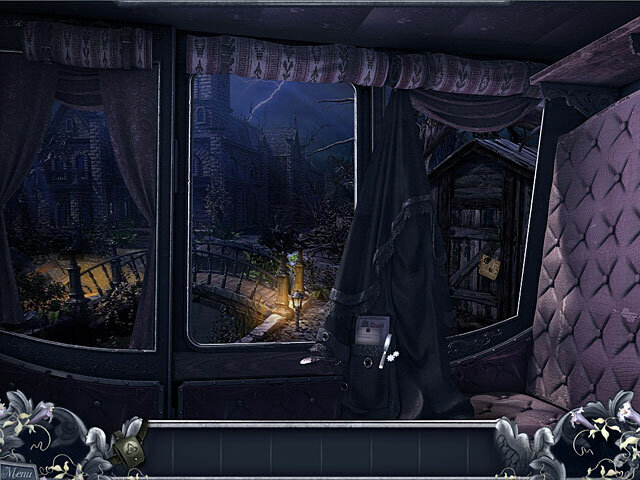 Rated 5 out of 5 by crazynim from love it exciting & spooky...i just love playing hidden object games. Rated 5 out of 5 by redwinga199 from AWESOME!!!! I played the trial and i fell in love with this game! I love the idea of hiding objects between realms. I like how you interact with diffrent ghosts. Ilove the settings. This is the best game ever! Rated 5 out of 5 by Michvos from Excellent hidden object game - but short I absolutely loved this game - it had everything that I loved in it. The only thing wrong with it was the length of game play - I finished it within 3-4 hours - wish it had been longer. Otherwise, totally excellent. Thanks Big Fish. Rated 5 out of 5 by Poodlebear from Something New! ...in a familiar guise. This is a *nearly* perfect game! At least how I recon them. With Hidden Object Puzzle Adventures happening so often it is truly wonderful to find one with a new gameplay mechanic - in this case needing to move between realms and find and then hide objects that you will need when you return. I can't recall, in what is likely 100s of these games I've played now, finding this handled just the way it is here. That's a HUGE plus in a saturated genre. Adding to that we have pleasantly challenging but not difficult puzzles. I imagine some would find it too easy, I did not. Hidden object scenes happened with nice frequency, not too often, but not missing either, and while junk pile in nature they at least were most free of anachronism and were in scale, not gravity defying. Story was interesting, voice acting excellent! BUT the best bit yet, even though it's a simple mechanic not related to gameplay, is the closing of zoomed in areas and labeling as finished larger areas that no longer have items or puzzles to solve! This is sooo great when having to move through a large map with many rooms to know you've not missed some little thing. My only complaints were the occasionally picky cursor in Hidden Object Scenes and the Objective that kept popping down anytime my cursor strayed too near the top of the screen. At no time did I find that helpful, just annoying. Overall a terrific game and I'm very much looking forward to the Sequel which was nicely prologued in the Bonus Chapter in this Collectors Edition. Rated 5 out of 5 by snyderang63 from awesome mystery what i do i look at the clues to where or what goes. And i kinda figure out what the ghost is looking for and why it is here but i'm gonna find out the mystery i never give up. I love mystery games, its like a challenge, it could be in real life if you think of it. Rated 5 out of 5 by dasmoehrchen from Awesome This game is refreshingly different. Rated 5 out of 5 by jasmin4 from This game is Easy and Great!! I just finished this game, including Extras. All I have to say is WOW!! I have been eyeing this CE game since it came out, and I am so happy I got it for only $6.99!! It is well worth the price! I cannot wait for the sequel!! The graphics are very well done and beautiful, albeit most are a bit on the grey side...not very colorful. The music is also beautiful...subtle and unobtrusive. The voice overs are believable, and well acted. Aside from the cursor freezing up for a few seconds sometimes, I had no problems or glitches with this game. I did not need the SG, so I cannot comment on it. The game is quite linear, with not a lot of backtracking. You don't have to go all the way back to the beginning, once you have made it inside the house. The objectives are quite clear, and it's easy to figure out what you need to do, as long as you are paying attention to detail, which should be easy, as this game is highly immersive. Even if you don't have attention to detail, the hint button is really helpful, and recharges quickly!! The HOS are clear, colorful, and beautiful, and the HO are big enough to see, and find easily. The mini games and puzzles are, for the most part, easy and simple. I only had to skip 1, as rotating puzzles aren't my strong suit. Some of the puzzles don't have a very good explanation of what to do, but it only takes a bit of common sense to figure it out. The notebook, or diary, records useful info, however I rarely had to use it. It's really nice that this isn't timed! In the CE, you get the Bonus Chapter, wallpaper, and concept art, plus a sneak peek into the sequel. Also, there is a little sign at the top that says, Area Clear, which is really nice! My only complaint is that I wish it didn't have to end! It was on the short side, as most CE go, even with the Bonus Chapter. The story line is well thought out though. All in all I really liked it, enough to overlook my minor complaints. As for the game itself, I LOVE the idea of going between worlds. Going into the "other side" through the looking glasses, finding objects you need, hiding them, and then retrieving them in your own world. Great concept! Plus, you can't really get lost, as you can only stay near the looking glass in the room on the "other side". I really enjoy a game that is easy to follow, is not frustrating, nor too taxing on the brain, and really not that much of a challenge...and this game is IT!! It's a beautiful game, with a solid storyline, to just relax and play at your own pace, taking in the beautiful scenes. It's easy enough to enjoy, without being irritating. I understand that some people prefer a challenge, and this may not be for them. As they say, "Try before you Buy"! I recommend this game for beginner or intermediate HO gamers who like easy games! Rated 5 out of 5 by Amois from Fabulous Game Had to post - this is a winner! Rated 5 out of 5 by PeggySueParks from Lovin' the story here Great game for the story. The puzzles were too easy, but it was very enjoyable anyway. Rated 5 out of 5 by fun_and_games from Well done and fun Just played the demo and it was not the usual at all which was great. The bright light switching back and forth was tough on the eyes and head so I could do without that as it made me dizzy. Otherwise fantastic. Rated 5 out of 5 by Cissy62 from Fantastic Game This game went way too fast! The is the best Adventure HO Game I have played in a long time. Very different from the norm. The sound effects never got annoying. The "lightening" sound was very very realistic! I've haven't played a game like this one. To go from the present to the past, hide objects, then go back to present to find them. Utterly brilliant! I highly recommend this game! 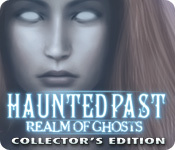 Rated 5 out of 5 by Kathye0314 from Haunted Past: Realm of Ghosts Collector's Edition Really good game. Creators very talented. Keep up the good work. Rated 5 out of 5 by codester9 from Spooky Time-Jumping Mystery Provides Hours of Challenging Play Haunted Past: Realm of Ghosts is a very engaging, often mind-boggling, game, jam-packed with puzzles from beginning to end. Set in a creepy decrepit mansion, this game is unique right off, as we choose among three levels of play: casual, challenging, and custom, in which we can design the difficulty of the play. I began with Custom, but after 20 minutes or so, started over at Casual, and was never bored. I usually play at the Challenging level of all HOGs, but even at Casual, I needed occasional hints throughout the game. However, the hints never ruin the play—they simply point us in the right direction if we are lost…and with so many rooms, two time eras, and several ongoing puzzles, it is very easy to get lost! It takes a while to catch on to how things work, but it is fun to solve the mysteries and satisfying once we do. We time jump to the past, still in the same mansion, but when it was beautiful and well tended. In the past (which we reach via mirrors and other reflective surfaces), our task is to locate objects we need in the present. We find them, hide them where they will be available in the present (assuming we can find them, have the right tools to unearth them, etc.) It is a lot of fun! I recommend this game highly, if you like a game that takes a while to play and keeps you guessing throughout. The Bonus Play in the Collector’s Edition is also very long; I would say 60-90 minutes. At the end, a message tells us we will soon have another chance to use our “gift.” I hope the game makers consider “soon” as just a few months, since I am already looking forward to their next game. Five bright stars for this highly compelling game! Rated 5 out of 5 by bunnyrn from Great Hidden Object Game I found the graphics very good. I especially liked the going back and forth from the past to the present. That added an extra "oomph" to the game. The voice overs were well done. I liked the fact that the Strategy Guide was in the game, but it would have been better if you didn't have to scroll down so much for a hint. All in all, a 5/5! Good Job! Rated 5 out of 5 by Zeto from Unique This game is very enjoyable because it is unique. You go from the real world into the spectral world which has a nice haunting twist to it. Graphics and story line are good ...the only thing I did not like was the fact that they never explained why the coming of this particular evil intruder haunted the house. You discover how it happened, but not why it happened...and there is a "why" to this story line. Maybe they will explain more in the next installment because they left it somewhat open-ended. Rated 5 out of 5 by Kit7 from A ggod game you can really enjoy I had alot of fun with this particualr game, it had enough puzzles to keep it interesting but not the overkill on seek and find like alot of the others I have played. The clues were such that you could figure the game out on your own with a little work and not have to constantly go to the stradegy guide. I look forward to the sequel!! Rated 5 out of 5 by fuaigh5 from A New Spin in Hidden Objects This was a very enjoyable game, that kept me spell bound. The storyline could have been better, however, it did not detract from the game itself. 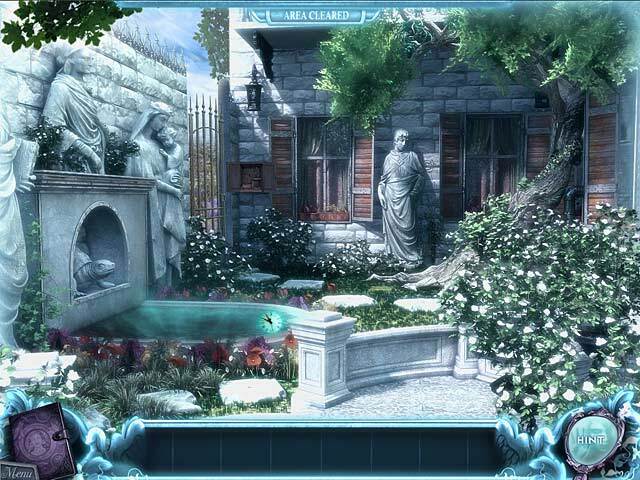 This game has several twists and unexpected adventures, which makes this game stand out from the ususal Hidden Object games. Rated 5 out of 5 by lucyanne1377 from Unique, fun, enjoyable game! I had a great time playing this game! I loved that during gameplay you have to hide items from the ghost realm to obtain them in the living realm! I thought this was very clever and I've never seen this in any game before! The HOS were not really challenging nor were the things that have to be done in order to move on to the next scene/room, BUT this did not take anything away from the game as far as I'm concerned! I also loved the storyline and the bonus chapter! The graphics were awesome and the sound wasn't at all annoying to me! All in all, this game was a lot of fun and I look forward to the sequel! Rated 5 out of 5 by woodawooda from A great game. Just different enough to keep it interesting. This game had some really fun features. The two rehelms with hidden objects in one to be used in the other is very cleaver. Nice storyline. I love game made in this time period. Always so moody and graphics are great. I highly recommend this one. I am looking forward to the next in the series. Rated 5 out of 5 by Mopox from Different and fun I don't usually write reviews but this is worthy. The voiceovers are fantastic for a nice change, the gameplay is involving and fun, plus the graphics are well done. Hiding things for different realms is a great and unique idea. Definitely worth the purchase. I read in another review that the game isn't super long, but when it's this good who cares?